Across North America, thousands of fabric buildings are constructed every year. Building uses vary from barns, to commercial warehousing, municipal salt and sand storage, and even sports and event centers. Like a lot of people, you’re wondering how much a fabric building costs. At Britespan, we are regularly asked, “can you tell me about fabric building prices?” A great question! However, there are a number of variables that determine the final price of a fabric building. There are actually a number of different fabric buildings types out there. Some being the “off the shelf” tarp building you can buy at your local hardware store or building supplies store. These buildings are typically used for residential purposes, for things like carports, garages and sheds. There are fabric buildings that are on the larger scale for bigger operations that are also considered an “out of the box” building solution. Re-sellers and manufacturers will often carry a standard product line of building styles and sizes. No matter what the building is being used for, or where the building will be erected, the same building can be sold. Neither of these fabric building types is engineered. They are “designed”. Why is that important? First, “off the shelf” or “out of the box” fabric buildings are not designed or built to meet local site specific building codes, including environmental loads like snow, wind, or rain. That means the designed building you purchase could experience a failure when trying to withstand your local weather. Second, these types of fabric buildings are not designed or built to meet building specific occupancy. Whether you are storing equipment, or sheltering livestock, they are valuable assets and investments that are important to you. A building failure could mean loss or damage to your business. Then there are engineered fabric buildings. Engineered fabric buildings are engineered and designed uniquely to each building site, and the local building codes and weather conditions. Put plainly, site specific engineering is achieved by calculating the number of trusses a building needs to meet the local building codes. That will vary of course, depending on the width and length of a building, the depth of the steel trusses, and the occupancy. So, what does an engineered fabric building cost? *This is not an estimate. Consider that in addition to the building width and length, the finishes and accessories you choose will also determine your final fabric building cost, including end and side wall finishes, doors, foundation types, and interior additions like HVAC. plumbing and electrical. If your equipment, products, materials or animals are important to you, an engineered building is not an expense, it is an investment. An engineered building will cost a little more than a designed one, but it will give you piece of mind that your building is SAFE, secure, and strong. If you ask us, that piece of mind is priceless. Your building is a major investment, and you take it seriously; so do we. Speak with your local fabric building expert to learn more about the right building solution for your business or operations. Trying to decide on the best solution for your shelter or storage building needs? An investment in an engineered fabric building by Britespan delivers the ultimate in value and performance. Whether permanent or portable, Britespan fabric buildings are long-lasting, versatile, economical and easy to maintain. They’re naturally bright, cooler in summer and warmer in winter, easy to ventilate and they won’t corrode like metal or rot like wood structures. And they go up in a hurry in full compliance with all local building ordinances. For you, that means a higher ROI with less maintenance and greater peace of mind. Nothing is left to chance or the whims of nature. Tested, proven processes and materials help ensure the success of your Britespan experience, including: engineering and design options tailored to your specific needs and building site, nonconductive properties of our proprietary fabrics, corrosion-resistant framing and hardware, installation by local experts. Regardless of your application, the wide-open space within your Britespan building will be naturally well-lit thanks to our remarkable translucent fabric. This material creates a shadow-free workspace and eliminates daytime lighting expense. Contrary to what you might think, our fabric is more airtight than metal or wood structures, reducing heat loss during cold months while remaining naturally cool when nature turns up the thermostat. Britespan engineered fabric buildings offer many advantages over other designed fabric buildings. We offer custom solutions for your specific needs, including your site location and other important considerations, such as: local building codes, local environmental conditions like snow load or wind, occupancy and protection, insurance requirements—our buildings are insurable. Our experience and hands-on attention to every detail help make your choice of fabric buildings clear. Britespan! What Will All This Quality and Peace of Mind Cost? If your equipment, products, materials or animals are important to you, an engineered fabric building is not an expense, it is an investment. An engineered building will cost a little more than a designed one. That extra cost gives you piece of mind that your building is SAFE, secure and strong. Consider that in addition to the building width and length, the finishes and accessories you choose will also determine your final fabric building cost, including end and side wall finishes, doors, foundation types, and interior additions like HVAC, plumbing and electrical. Your building is a major investment, and you take it seriously. So do we. Trust Britespan to deliver the perfect building solution for your exact needs, along with great service and unmatched ROI. Speak with your local fabric building expert to learn more about the right building solution for your business or operation. *This is not an estimate, merely a rough idea to give you some guidance. Fabric structures have been rapidly becoming the preferred building style for a number of different industries and operations. We review why these structures are an economical and long lasting building solution with a higher ROI. Unlike conventional buildings, for example, where the outer covering is often punctured thousands of times to attach the roofing and wall cladding, steel framed fabric structures are much more airtight reducing air and heat loss. The fabric cover has non-conductive properties that reduce the transmission of heat and cold, making the building feel warmer in the winter and cooler in the summer. The translucent properties of the fabric covers allow natural daylight into the building, reducing or eliminating daytime lighting costs, and creating safe environments for workers. Without the daytime sunlight, most buildings will require some form of daytime and nighttime lighting. Equipment costs, installation costs, and operational costs must all be considered. For a wood or steel construction building, the owner will need to add enough lumens of light to properly light the working area of the building during the day and night, consuming electricity every minute of use. A fabric building will require typically 1/3 of the lighting capital costs as the bright white underside of the fabric roof reflects and disperses the artificial lighting broadly and evenly, reducing shadows and reaching all areas of the building. In addition, the lights will generally not be turned on during the day in a fabric building, due to its transparency. Fabric buildings feature a high roof design which results in a large volume of interior air space. In agricultural uses, this draws the warm moist air up and away from equipment, machinery, commodities, or livestock. With the ability to offer side ventilation, end wall ventilation and roof ventilation, warm moist air, including odours, can easily be vented from buildings. In commercial, retail and industrial uses, the non-permeable fabric cover allows for increased control and air management. Ventilation and heating/cooling systems are easy to install and manage. 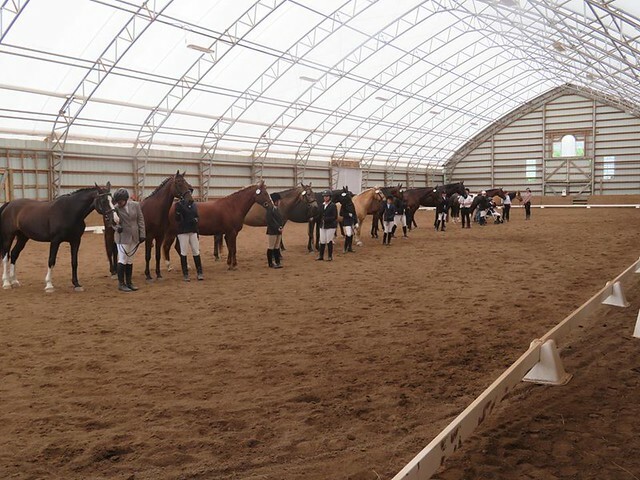 Fabric structures are pre-engineered and manufactured, ready to be shipped unless the building is a custom design. This allows a fabric structure to be erected in weeks instead of months. Customers can move into the building quickly, with minimal interruptions to daily operations. Choosing a fabric structure also reduces the costs associated with constructing the building. Wood and steel buildings tend to have a labour intensive construction process. Steel buildings can be costly, difficult to ship to remote areas, can be time consuming to construct, and are essentially permanent structures. Fabric structures are engineered as permanent buildings and are also easily erected in remote areas because of their design. By simply choosing a temporary foundation type like blocks, sea containers, or a base rail anchor foundation, customers are able to take down and move their buildings to a new job site, or store them until they are needed again. In addition, these types of foundations create little to no environmental impact. If the end user decides to move from the current building location to another, the site the building was constructed on can easily return to its original state. With so many fabric building suppliers and manufacturers to choose from, it’s hard to know what exactly to look for when choosing one over the other. Your building is a major investment, and you take it seriously. Britespan’s industry experts shared some tips on what you should be looking for when purchasing a fabric structure. What should people be looking for when purchasing a fabric building? “When purchasing a fabric building, people should look at a couple of things. First is the truss itself. A heavier and deeper truss ensures the building rigidity and strength, as well as load weights e.g. snow, wind, and rain, etc.,” says Chris Hogervorst, Britespan Ontario Dealer Manager. It is also important to make sure your building is engineered, and that the price you are quoted is for an engineered structure. Some companies will provide a lower price estimate that does not include the engineering costs, and then add them as an additional cost later on. “An engineered building means your building is insurable and complies with all local building codes,” says Chris. Asking about service is important too. There are many fabric building suppliers that are more than willing to supply a kit or even install, but the initial price is not always the final cost and the price quoted is often not the price for project completion, just the building itself. From a quality materials standpoint, what should they look out for, what questions should they ask the supplier? “When it comes to the building materials, key features to look at are the basics that hold the structure as a unit. What is the depth and weight of the trusses? What size of purlins and cross cables is used? Are the trusses post production hot hip galvanized, or pre-galvanized?” says Mike Wimmer Britespan US Dealer Manager. The welding of these materials is also important. It’s important to know that the company you buy your fabric building from employs only certified welders, and that the company carries the CWB (Canadian Welding Bureau) and/or AWS (American Welding Society) welding certification as it means they are welding to a set standard. Are there materials used in fabric structures that are better than others? Always ask the company you plan on buying from where their materials are manufactured, and that they are manufactured in North America as opposed to overseas. Steel from outside of North America has often been recycled and repurposed so many times, that the quality and lifespan is very poor. When you purchase a steel framed fabric building from Britespan, you know that you are not only purchasing a structure that been engineered to stand the test of time, but also constructed out of materials that will stand the test of time. What components affect the longevity and quality of the building? Is building maintenance an important contributing factor to buildings longevity? To ensure longevity of your building, it’s important to discuss with your local dealer what you will be using the building for e.g. equipment storage, livestock, or more corrosive commodities like fertilizer, salt and sand, etc. For example, in highly corrosive environments such as fertilizer storage or closed-in compost buildings, all nuts and bolts should also be hot dipped galvanized and the cables should be stainless steel. That being said, hot dip galvanizing is equally important in less corrosive environments because it will ensure lifelong corrosion protection against moisture, humidity, and varying temperatures. Building maintenance is very important regarding the longevity and rigidity of the buildings. “A visual inspection of the buildings cover fastening system every year will ensure that the cover remains tight and secure. When movement begins to happen, that is when you will get wearing on the cover which can lead to premature failure. 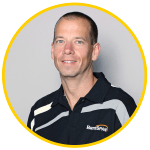 It is a good idea to talk to your local dealer for how to do this or request their inspection,” says Mike Wimmer. Why is it important to work with a local authorized dealer? 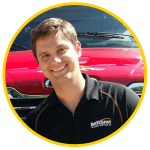 There is a big difference between working with a dealer local to you and a generic sales representative, or buying direct and installing a structure yourself. First, a local dealer will know the building codes and permit processes for your area. They will also be able to provide you with an accurate quote because they know the snow, wind and rain loads for your geographical location, which plays a big factor in the cost of a building. The snow, wind, and rain loads determine how many trusses you will need in your building. A local dealer network means a faster turnaround for project completion, and a faster response to your questions or concerns. From a service perspective, your local authorized dealer will be your contact from the beginning of your project to the end, and for years to come in maintaining your building. What affects price of a fabric structure? Should customers be weary of a low cost building? If yes, why? There are many factors that affect the investment price of a fabric building. For example, the process of hot dip galvanizing is a superior finish in protecting the steel. Some manufacturers avoid this process because it would add shipping and handling costs to go to a galvanizer instead of using pre-galvanized product. In the end it can usually come back to the old saying ‘you get what you pay for’. Other factors can include site preparation, foundation type, end and side wall finishing, doors, and other accessories. A lot of suppliers have different Installation methods. Is there a way for the customer to identify poor installation methods? Are there installation methods that are better than others? “I would tell anyone that is looking at a building to have their dealer take them to five or six buildings that they have already built. You will be able to tell by looking if there are a lot of wrinkles and just a poor finish in general. It is also advised to ask for a list of references from your dealer, and speak with some of their current customers. This will help you understand how the dealer works with their customer,” says Mike Pollard, Britespan Ontario General Manager. Be sure to check how the supplier is using purlins, cross cables, tension pipe and winch blocks. Purlins should be double bolted to the truss, cross cables tension pipe and winch blocks should be secure and tight. What certifications should a supplier have? Before you get a quote on your building make sure the supplier you’ve chosen complies with current building codes for your area, and has the appropriate certifications e.g. CSA A660, CWB, AWS, BMEC, etc. Any last tips for what someone should be looking for when purchasing a fabric structure? “Our goal is to ask many questions to our clients at the beginning of the consultation to build an understanding of the ‘why’ and then the ‘how’ the building is being utilized. Our dealers and representatives will take this information and provide suggestions based on experience,” says Mike Pollard. Similarly, customers should ask a lot of questions as well. The more you ask, the more you know, and that will help you make the right decision in the fabric building supplier you choose. Chris Hogervorst is the Dealer Manager for Britespan Building Systems of Ontario. 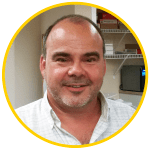 Mike Wimmer is the US Director of Business Development for Britespan Building Systems Inc.
Tarp buildings, tents, hoop buildings, tensioned membrane structures and Cover-All buildings. Fabric buildings have been available to the market as storage and shelter building solutions for nearly 50 years now. On the contrary, fabric buildings are greatly becoming the preferred choice for almost every storage and shelter building application today. Extensive modern barns for to today's dairy, beef, goat and sheep farmers are being constructed using fabric buildings. The open floor plan allows for a flexible design, and the natural light and fresh air improve the environment and health of livestock. All Britespan’s pre-engineered fabric buildings are custom engineered and designed to each unique building project. 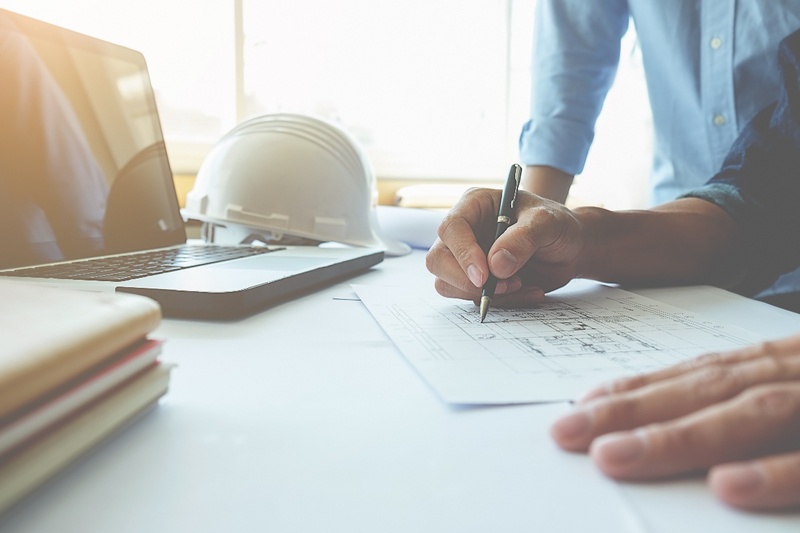 Site specific building codes, occupation categories, and local weather loads are all factors when engineering a building to withstand the harsh demands. Oh yes, let’s talk about fabric covers! Fabric covers are known to last for over 20 years when properly tensioned. And we know one thing, replacing a fabric cover after 20 years will cost a lot less than replacing a conventional shingle or steel roof! And what about reducing the risk of fire? Did you know that fabric covers made of polyethylene versus PVC inhibit the spread of fire? Should a fire ever occur in a fabric structure, a polyethylene cover will allow the fire and flames to escape without spreading across the rest of the cover, creating a hole in the cover that can be repaired with a patch kit. Add a variety of custom accessories, including doors, end and side walls, windows, and eaves. Include electrical, plumbing, heating and cooling, and insulation!